Are you running a finely tuned front of house? Do your diners feel as special when they come through the door as when they’re being served at the table? What about your back of house? Is your restaurant set up to be as efficient as possible? Are you giving your employees everything they need to do their job? Running a tight front and back of house means balancing lots of interdependent elements of service. As such, it requires proper planning, training and evaluation. However, by consistently focusing your attention on the tips in this article, you'll find it easier to provide the kind of dining experience that wins you repeat customers and the kind of back of house management that gets you loyal employees. What is "Front of House"? The "Front of House", often abbreviated FOH, refers to everything your customers can see when they dine at your restaurant. This includes the hostess booth, the dining room, and all the employees and equipment required to keep this portion of your restaurant running efficiently. What is "Back of House"? The "Back of House", abbreviated BOH, refers to whatever your customers can't see when visiting your restaurant. For most restaurants this includes the kitchen, walk-in freezers, offices, storage, and anything or anybody else that your customers don't see. How are Back of House and Front of House Connected? For any restaurant to run properly, the front of house and back of house need to have proper channels of communication in place. A chef is not expected to walk out into the dining room to take each order from seated guests, just as a waiter is not expected to prepare dishes for a busy restaurant. For each of these employees to do their jobs they need the front of house and back of house to be linked. With these definitions in mind, let's now see how you can improve operations in both your front of house and back of house with a few simple changes. How to Improve the Front of House? Your front of house is everything that your guests see when they visit your business, as such it makes sense to make it the best possible experience for them as possible. Let’s start where your diners do – at the door. The welcome potential guests experience can mean the difference between stepping in and taking a table or turning around and heading to your competitor. It’s crucial to remember that the manner your host or hostesses use when addressing and greeting customers helps to set the tone for their whole dining experience. A customer doesn’t care if someone has called in sick and you’re understaffed or if your 7pm table of six has just turned up and is now a table of nine. When they walk through that door, a customer deserves your undivided attention, a warm greeting and clear guidance on what to expect. The very best welcomes involve good eye contact, adapting to the mood and tone of the customer, friendly body language and clear direction on what will happen next. It’s important that the welcome host knows where to direct people while waiting for a table and what to say if there are no tables available at that time. Should they offer the diners nibbles and a drink and give them expected wait time? Perhaps you’re so packed they’d be better to mention your takeaway service? Far too often the greeting post is abandoned when front of house is busy and this can have a detrimental impact on the whole customer experience. No matter how busy it is, your host should have a clear and informed plan. Harnessing the power of the internet can have a big impact on both organization and time saving in your front of house. Shifting from predominantly taking your bookings from email and phone to online frees up a huge amount of time for staff who could otherwise be focusing on hospitality. For example. Let's say the average time it takes a staff member to record a phone reservation is 2 minutes and the restaurant gets on average 20 bookings a night then that that's a whopping 243 hours and 20 min you staff spend on the phone over the course of a year just taking bookings. Online reservation systems also help front of house stay organized by automatically adding and assigning tables and time slots to guests. If the restaurant is full then the booking system will automatically inform the guest and save more unnecessary phone calls. We’ve said it once and we’ll say it again. No matter how good your food is or how friendly your staff is, if table and food wait times are not managed, your customer’s perception of the dining experience will diminish. We’ve covered some great tips for waitlist management in the post about how to keep customers on your waitlist happy. Ultimately, you need to think about how effectively you manage walk-ins and table turning, how well your hosts and wait staff set wait expectations and how well equipped your front of house area is when it comes to entertaining waiting customers. Do you have a wait or bar area where waiting customers can sit with a drink and menu while they wait? How’s the ambience? Is your restaurant the type of place that would benefit from some live music? Think also about how you keep track of tables that need to be readied for the next booking. Our reservation system ffor example highlights tables that need to be turned at a glance. But whether you have the support of an app or are relying on your front of house team to manage service speed, training your wait staff appropriately is key. You can have a burgeoning front of house team and a full back of house team in action and service can still end up in chaos if there’s no effective role assignment, briefing and debriefing in place. Some front of house managers like to assign different wait staff to set tables and touch points, while others may work with sectors or zones. Whatever your approach, you should be confident that you have someone to welcome and seat guests along with staff for taking orders and running drinks. Waiting staff or the front of house manager should also touch on tables to ensure the needs of each table are managed and the speed of service is in line with bookings. A pre-shift brief can highlight any obstacles such as short staffing during a particular time or in a certain area, it should reinforce knowledge of any specials, customer or staff incentives and help to effectively motivate staff for the service ahead. A debrief can also prove useful. Consider praising and thanking staff for their efforts and highlight any problems that need ironed out before the next service. While a restaurant manager who is adept at spinning many plates is worth hanging on to, in modern restaurant management, technology has a very valuable part to play in effective front of house service. The online and real-time booking technology that can be fed into table planning is consistently rated one of our customer’s favorite features. It helps you to effectively stagger bookings and allows your welcome host to set realistic expectations for walk-ins who can be added to your table plan when they arrive. Tech can also be used in briefing, role assignment and debriefing. Tables can be assigned to wait staff ahead of service. And, thanks to customer profiling, those staff can check on any notes attached to customer’s profiles about dining preferences, allergies or other special requests. When it comes to managing table turning and wait times, color-coding means you can see at a glance when a table is coming towards the end of their allotted time slot and may need service speed increased or a check dropped. And as an extra bonus, data collected throughout service can be used in staff or customer incentives. A look at your data may lead you to reward the server who clocked up the highest average cover spend or design a marketing offer to incentivize customers to return during a time slot when bookings are becoming fewer. How to Improve Back of House Operation? Although your back of house is tucked away conveniently behind your kitchen walls, it is the heart of your restaurant. Problems in your back of house spread out into your front of house and make running your restaurant harder than it needs to be. Here are a few tips to improve your back of house. Improving your back of house has to start with your employees. That involves being more transparent so that your staff gain perspective on what the other half of your restaurant does and what they need to make their jobs easier. A back of house employee will often remain a back of house employee for as long as they work at your restaurant. 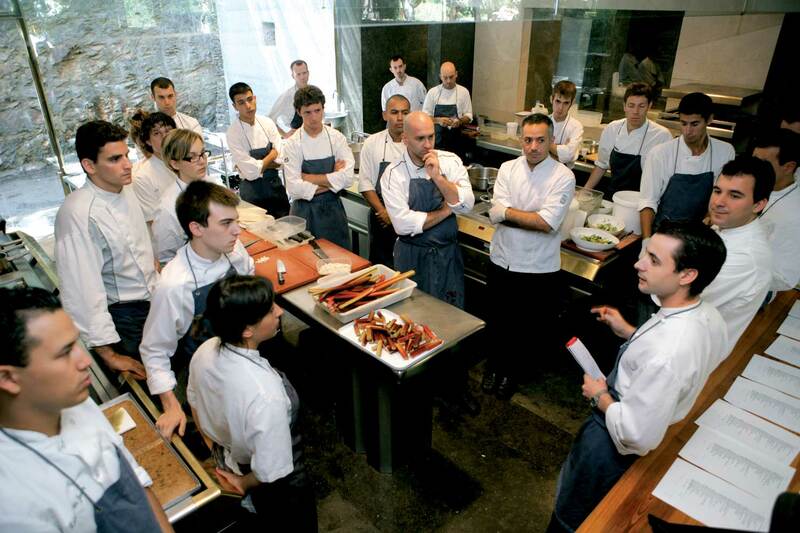 Whether they start as a dishwasher, cook, or chef, they often get promoted within their own section of the restaurant. A dishwasher will rarely move out to the front to become a hostess. This means that most of your employees only know what it's like to work for one side of the operation and not the other. Holding semi regular meetings with your entire staff to discuss problems each employee is facing and how their jobs could be better is immensely beneficial in creating a transparent work environment where your employees can start to gain perspective. Front of house employees such as waiters/waitresses have a natural reward system in the form of tips. That helps keep staff motivated to do a better job, because doing a better job means getting higher tips. Back of house employees on the other hand, don't have a feedback system in the same way that your front of house staff does. Taking the time to acknowledge and reward employees for doing a good job can go a long way in boosting morale and motivation. Rewards don't always have to be monetary, sometimes just acknowledgement and praise is enough. Because back of house employees are hidden out of sight, it is very easy to forget to check in on how they are doing, especially at a busy restaurant or during a busy shift. Restaurant managers need to take time out of their day to check in on their back of house employees to make sure they have everything they need and nothing is interfering with their ability to do their jobs. Often times you'll realize that problems don't come to light on their own. They come out when you check in on your employees. What do you think the number one priority of providing good front of house service is? What about running an efficient back of house? Do you afford enough attention to your welcome and waitlists or is it time to invest more in thorough briefing or helpful tech?